You don't have to belong to a coven to practice magic. You may prefer to walk the magical path alone, connecting to a rich and ancient heritage of solo magic users. The wise woman, the druid, the hermit, the wizard, and the shaman all connect to their magical energy in a "group" of one. With only yourself to rely on, magic becomes an introspective act. Commune with nature on your own and form a deeper, stronger connection with the stars, the sun, and the moon. A Witch Alone is a valuable guide, full of lessons and spells for the solo Wiccan. Each chapter examines a different part of the pagan path, including information about herbs, the Healing Arts, Moon Magic and Solar Cycles, and recovering the "Old Ways." If you're intent on walking your path alone, A Witch Alone is the only companion you'll need for the journey. 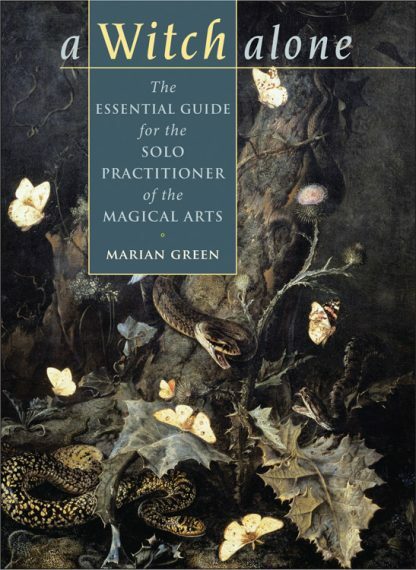 Marian Green is a British author who has been working in the fields of magic, witchcraft, and the Western Mysteries since the early 1960s. She founded and continues to organize the Quest Conference held every year in the UK and has edited the magazine Quest since founding it in 1970.